London hosted its first ever London Modest Fashion Week in February this year. The event showcased a variety of new Muslim fashion designers and their collections on the catwalk. 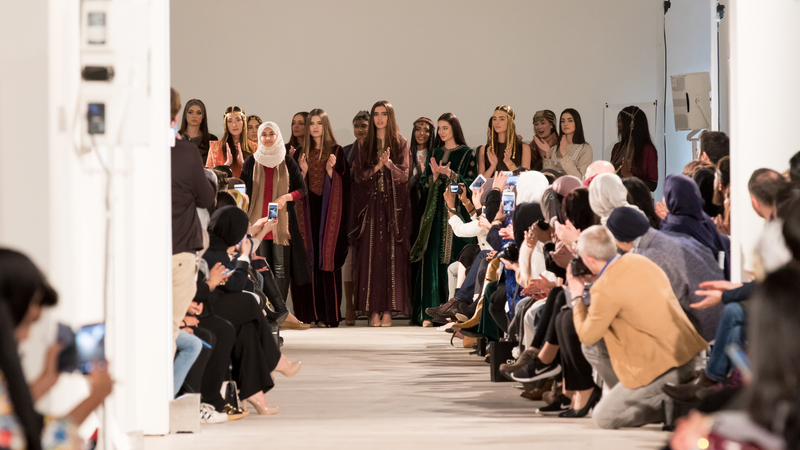 The shows which took place on February 18 and 19, at the Saatchi Gallery in London, received positive reviews which saw it as a step forward in the fashion industry and a progression towards the exposure of rising Muslim fashion designers. Haute Elan, a company that provides various modest clothing collections for customers, organized the first ever event in the heart of London. Bloggers and journalists gathered together to support the budding designers. While there have been fashion show events focusing on modest fashion and is not a new experience in cities such as Istanbul, this particular one was aimed at designers from around the world and was the first in London. Some of the 40 designers and brands who participated in the event, included Abaya Buth, Betty Hamoudi, Lyra and One-Ra. Luna Al-Akkad, 20, is a British-Syrian student and the founder of Luna’s Essentials, who sells everyday necessities, specifically aimed at Muslim women. Akkad got in contact with Haute Elan and had the opportunity of illustrating her designs during London Modest Fashion Week. Being her first fashion show, Akkad started off designing her hijab collection after not being able to find good quality hijab materials in high street shops and markets in London. Akkad, who also posts Youtube videos of hijab tutorials and many more, praised bloggers on the exposure towards the rise in modest fashion in Western countries. Anosha Anwary, 22, is a student and a part time fashion designer who also took part in London Modest Fashion Week, this year. 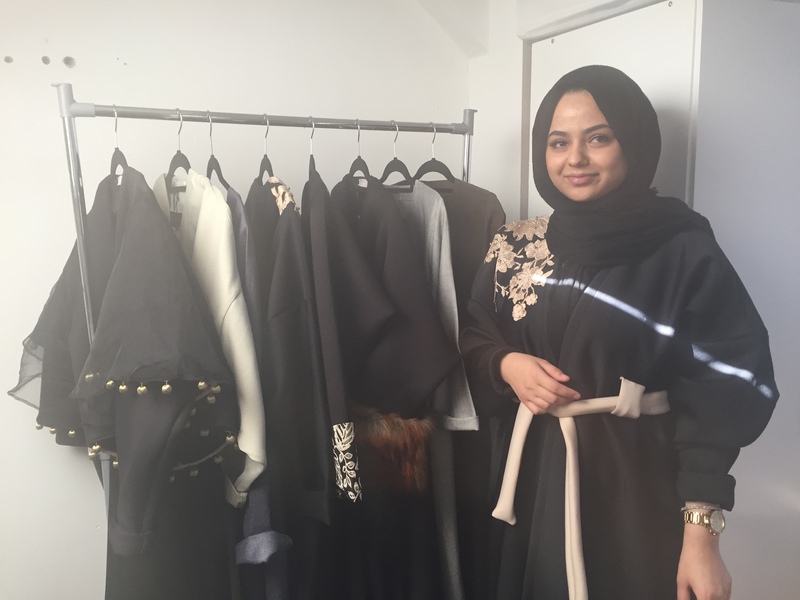 Anwary, owner of Avyaana Abaya, experimented with different clothes to maintain her modesty throughout the years, as she believes that there wasn’t a huge focus on clothing directed towards Muslim women, a few years ago. The power of social media has played an important role in promoting and commending Muslim women who design clothes for other Muslim women. Both Akkad and Anwary, use their Instagram accounts regularly to promote their name and collections. 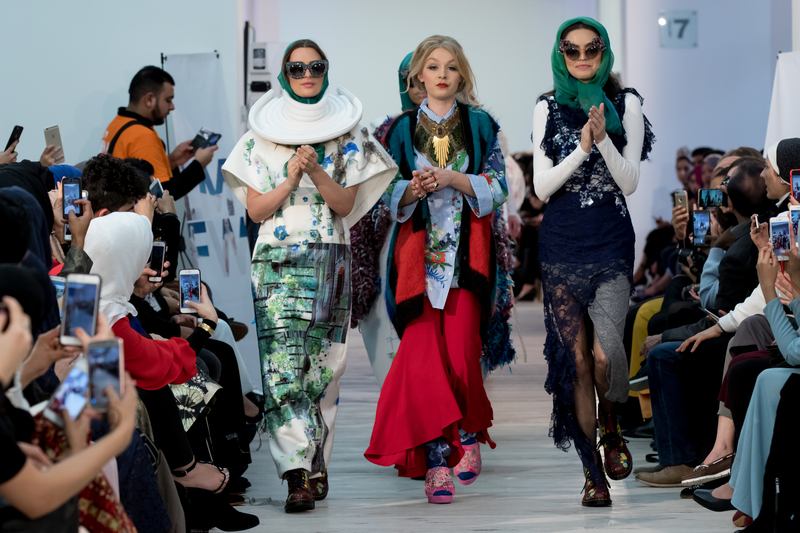 The Muslim bloggers and designers essentially work together to make their voices heard about modest fashion and help break the barriers between the West and Middle-Eastern fashion industries. While participating in London Modest Fashion Week, they had the opportunity to show off their work on the catwalk. High Street brands such as Debenhams and Nike, are set to start selling clothes aimed more at Muslim women, with Nike setting to release their hijab collection in 2018. Designers who want to get their name out there, can apply through Haute Elan to showcase their collections, in next year’s event.